Current projects and outreach at NSSTI. NSSTI is actively offering and developing innovative science education programs in the Pikes Peak region. NSSTI's education and public outreach programs are specifically designed to inspire young people and the public through active involvement in the space sciences. 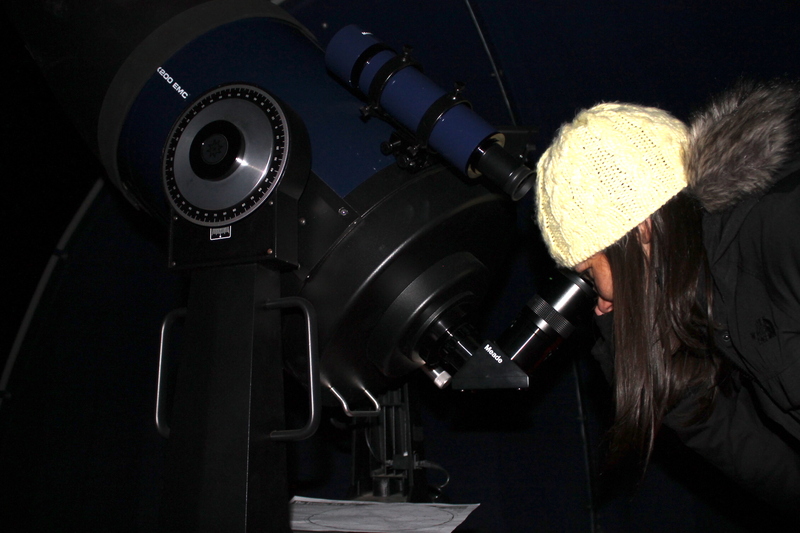 Our Star Light--Star Bright Observatory is open monthly (weather permitting) for free evening observing by students, teachers, and members of the public. NSSTI's telescope loan program places 8" telescopes into the hands of teachers in order to support classroom studies in astronomy. 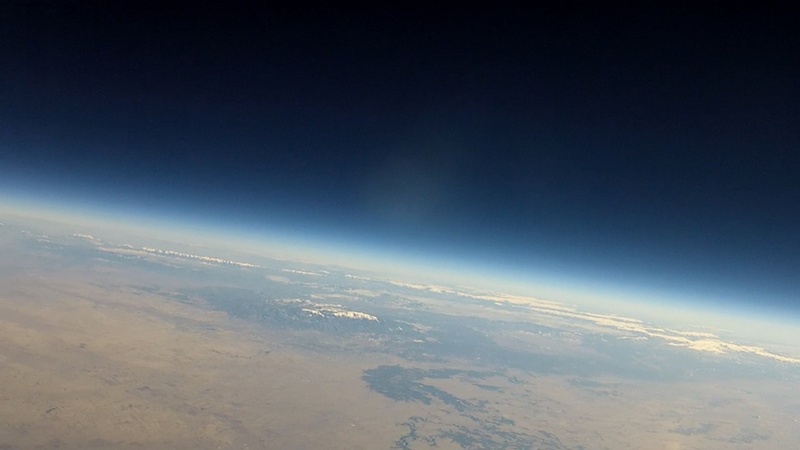 The Edge of Space Exploration program is providing students an opportunity to develop experiments launched by weather balloon to altitudes near 100,000 feet to test hypotheses of how payloads are impacted by the near-space environment. Our Mobile Earth + Space Observatory is being readied for 2017 deployment to schools as a science center on wheels equipped with scientist-educators, telescopes, weather and climate monitoring equipment and state-of-the-art educational and research tools to engage students, teachers and the public in inquiry-based, hands on learning about earth’s environment and space sciences. Pikes Peak Observatory is an initiative to place research-grade telescopes and scientific instrumentation on the summit of Pikes Peak in 2020 to provide informal education to summer visitors to the summit and allow remote telescope operation for education and research purposes year-round. Colorado and the Pikes Peak region have important characteristics in topography, geography, climatology, demographics, and economics that uniquely qualify it as a center for earth and space science. NSSTI programs, and those of other space and technology-related organizations make Colorado Springs and other front range communities renowned centers of excellence for S.T.E.M. research and learning in the earth and space sciences. The professionals at the National Space Science & Technology Institute are committed to advancing S.T.E.M. education for students of all ages. Star light, star bright; first star I see tonight..." As children we learned this rhyme as part of our fascination of looking up into the night sky. 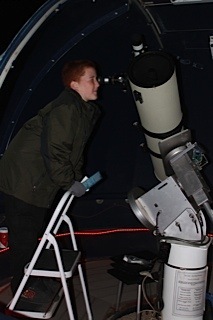 The goal of the Star Light--Star Bright Observatory, is to provide access to the wonders of the universe to primary grade students and their teachers from throughout the Pikes Peak region and across the state of Colorado. The observatory is operated in partnership between the non-profit National Space Science & Technology Institute (NSSTI), Trailblazer Elementary School, and Colorado Springs School District Eleven. The Star Light--Star Bright Observatory primary instrument is a 12" Meade LX200 telescope on loan from the Colorado Springs Science Center. The Observatory also makes use of an 8" and a 10" f/6 Maksutov-Newtonian telescopes that can be mounted on a Paramount GT 1100 computer controlled telescope mount. Accessories include an SBIG ST-5 and ST-7 CCD cameras. These two telescopes, mount, and CCD cameras were donated to NSSTI by the Cowan-Fouts Foundation. 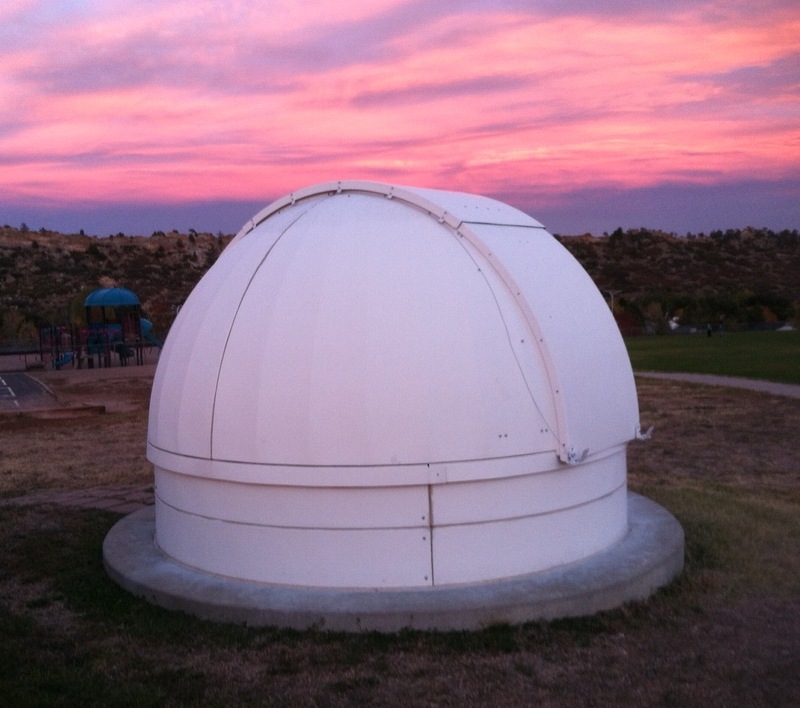 The Observatory is constructed using a Technical Innovations 10' dome. The mission of the observatory is to fill the educational void in space science that has existed far too long for primary grade students. This state-of-the-art observatory is energizing young students and teachers to quickly take advantage of this new educational asset. The teaching of space science to hundreds of primary grade students is being strengthened and the observatory is having a positive impact in other disciplines such as reading, writing, art and mathematics. We believe this is really important as space becomes more and more accessible. In the future the younger generation may even be able to book tickets to space just as we are able to purchase airline tickets today. The sooner we educate our children, the more interest they will have in space exploration and the more impact they can have drawing from the science behind it. 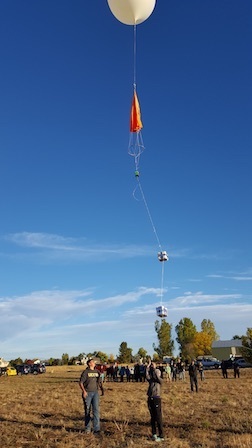 The Edge of Space program is conducted in collaboration with local and out of state schools, through which teams of students develop small experimental payloads to be carried aloft by weather balloons to ~90,000+ feet. Students hypothesize and test the impact of the space environment on their payloads. These launches include on-board instrumentation and cameras so students can learn about the temperatures, pressures, and winds aloft, see the curvature of the earth and track the weather balloon's travel. After the payload is recovered, the experiment modules are returned to each student team to examine the effects of travel to near space, and complete reports on the results of their experiments. MESO is a “science center on wheels” to engage and excite students, teachers, and local residents with hands-on educational and research activities focused on S.T.E.M. learning in the Earth and space sciences. Learn more at the MESO website. 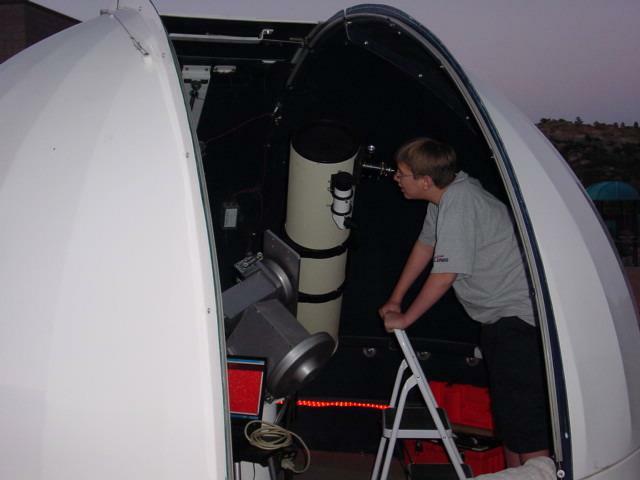 Pikes Peak Observatory is a STEM initiative of the National Space Science & Technology Institute to provide informal education relating to earth and space science to students of all ages, also providing remote access to telescopes that allow meaningful research. Equipped with a 1-meter research-quality optical/near-infrared telescope, hydrogen-alpha solar telescopes, cameras and weather/atmospheric monitoring equipment, Pikes Peak Observatory will provide 600,000 annual visitors to the Peak an unmatched educational experience with the opportunity for public viewing and access to interpretive exhibits that celebrate scientific research on the peak, past, present, and future. The National Space Science & Technology Institute is compiling final design and construction information to submit to the US Forest Service, along with our specific operating and maintenance concepts and fund-raising plans, seeking approval to begin construction during the summer of 2020, after the new Summit Complex is open and existing structures have been demolished. Pikes Peak Observatory is proposing placement at the West Overlook on the summit, where it can be visited by tourists during the day and operated remotely from Colorado Springs or other locations, day or night, contributing to the education of and research by students at local colleges and universities, as well as serving and improving the scientific literacy of the general public. Learn more at the PPO website..